"Ka mua, ka muri... Ancient Mori creation myths, portrayals of larger-than-life heroes and tales of engrossing magical beings have endured through the ages. Some hail back to Hawaiki, some are firmly grounded in New Zealand and its landscape. Through countless generations, the st... read full description below. A lively, stimulating and engaging retelling of purakau - Maori myths - by contemporary Maori writers. Ka mua, ka muri . . .Ancient Maori creation myths, portrayals of larger-than-life heroes and tales of engrossing magical beings have endured through the ages. Some hail back to Hawaiki, some are firmly grounded in New Zealand and its landscape. Through countless generations, the stories have been reshaped and passed on. This new collection presents a wide range of traditional myths that have been retold by some of our best Maori wordsmiths. 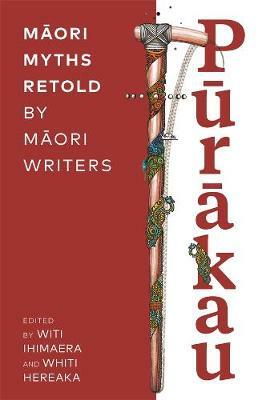 The writers have added their own creativity, perspectives and sometimes wonderfully unexpected twists, bringing new life and energy to these rich, spellbinding and significant taonga.Take a fresh look at Papatuanuku, a wild ride with Maui, a creepy encounter with Ruruhi-Kerepo, for these and many more mythical figures await you.Explore the past, from it shape the future . . .
Witi Ihimaera is of Te Whanau a Kai, Te Aitanga a Mahaki, Rongowhakaata, Tuhoe, Te Whanau a Apanui and Ngati Porou descent. He was the first Maori to publish a novel, Tangi, in 1973. He has subsequently gone on to become one of New Zealand's leading writers. He is passionate about writing Maori stories and creating opportunities for them to be shown not only in print but also in theatre and on film. His memoir, Maori Boy, won the Ockham Award for the best non-fiction work, 2016. His play, All Our Sons, won six Wellington theatre awards and will be produced by the Auckland Theatre Company in 2018. He is currently writing the second volume of his memoir and other projects, including an opera, Flowing Water, which is set in the Waikato during the New Zealand Wars. He lives in Auckland. Whiti Hereaka is of Ngati Tuwharetoa and Te Arawa. She is a playwright, screenwriter, novelist and a barrister and solicitor of the High Court of New Zealand. She holds a Masters in Creative Writing (Scriptwriting) from the International Institute of Modern Letters, Victoria University. She has had several plays produced and has won Best New Play by a Maori Playwright at the Adam Play Awards in both 2010 and 2011 and won the Bruce Mason Award in 2012. She has published two novels, her second one was for young adults and her first, The Graphologist's Apprentice, was shortlisted for Best First Book in the 2011 Commonwealth Writers' Prize Asia and Pacific. Visit Whiti's Facebook page for more information https-//www.facebook.com/whereaka.